James Mann’s, The Rebellion of Ronald Reagan is a fascinating and readable account of the days leading up to the end of the Cold War. Mann clearly describes the inner workings of the Reagan administration and the resistance from liberals and conservatives alike to the president’s approach and methodology. President Reagan was acutely aware of these concerns which helped fuel the fire of his policies and interactions with Gorbechev. 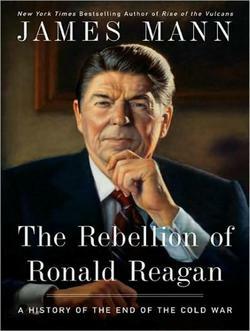 The Rebellion of Ronald Reagan is a helpful reminder of events in the distant past. 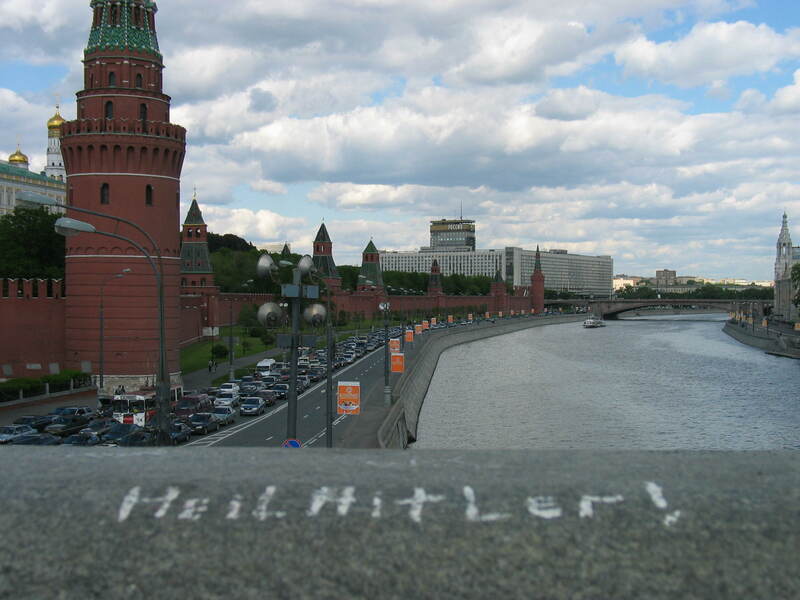 While the Cold War is over, the ideology that inspired Lenin, Stalin, and Hitler is still very much alive. Ronald Reagan reminds us of the importance opposing the enemies of freedom; he reminds us to stand on the watchtower and jealously guard our freedom. He reminds us that freedom is not free; it is a precious commodity worth dying for. And he reminds us that freedom is never guaranteed in the future. President Reagan is no longer with us but the Reagan revolution is still alive and well; much to the chagrin of the liberal elite and secular progressives. Big government, nationalized health care, excessive taxation, a reduction in personal liberty, and a weakened national defense was never tolerated by Reagan. And the current progressive agenda which is aggressively promoted by the Democrats in Congress will not be tolerated by the American people. My introduction to Alex Kershaw took place several years ago as I poured over his excellent book, The Longest Winter. 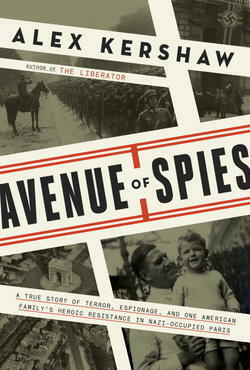 Kershaw is back again with another historical gem, Avenue of Spies. The book chronicles the life and legacy of Sumner Jackson and his wife, Toquette. These brave people joined the French in their pushback against the Third Reich during the heart of World War II. Kershaw is a master story teller who has a special gift for transporting readers into the heart of Paris, a city that was overtaken by Nazi thugs. He carefully guides readers through the historical drama, noting the tragic turn of events for Mr. and Mrs. Jackson and their family. The author educates readers by helping them understand the worldview of Hitler’s henchmen as well as those who fought against the Third Reich. The attention to detail is breath-taking. The scenes are memorable. The heroic deeds of the Jackson’s are sure to inspire readers. I heartily recommend Kershaw’s excellent book, which is researched with precision and recounted in a thoughtful and memorable way. President Reagan is no longer with us but the Reagan revolution is still alive and well; much to the chagrin of the liberal elite and secular progressives. Big government, nationalized health care, excessive taxation, a reduction in personal liberty, and a weakened national defense was never tolerated by Reagan. And the current progressive agenda will not be tolerated by the American people. Most people know him as the conservative radio talk show host. And most people have an opinion about him. Many Americans love Rush Limbaugh. Liberals and social progressives can’t stand him. But everyone should appreciate what he’s trying to accomplish in Rush Revere and the Brave Pilgrims. Limbaugh’s newest book is designed for children as he takes them on a journey to the seventeenth century and introduces them to the pilgrims. The author employs the fictional tool of time travel to teach some important history lessons that will appeal especially to young readers. Rush is to be commended for his desire to bring the events of the Mayflower to a readable format that children can enjoy. Unfortunately, some of the historical data gets overshadowed by the prose. But Limbaugh does leave readers with the right mindset toward history. This is a reminder that young and old can appreciate. The Hebrew Scriptures paint a clear portrait in the book of Proverbs that promise wisdom for the prudent and suffering for the foolish: “Whoever walks with the wise becomes wise, but the companion of fools will suffer harm” (Proverbs 13:20, ESV). Josef Vissarionovich Djugashvili, the man whom the world recognizes as Joseph Stalin chose the latter path; indeed, he paid no attention to the Old Testament wisdom. Rather, chose the way of rebellious autonomy and self-centeredness as he surrounded himself with thugs and robbers, not to mention his friendship with the evil henchmen, Vladimir Lenin. Young Stalin by Simon Sebag Monteriore is a book that stands alone. Indeed, it is totally unique. For instead of chronicling the Great Terror that was spearheaded by Stalin (like most books do), Monteriore begins with Stalin’s birth and traces the path of wickedness which culminates in the Revolution (October, 1917). Several features make Young Stalin a noteworthy book, most of which have to do with Stalin’s biographical data. The leadership ability in Stalin emerged early in his days as a young man. He had a powerful magnetism that drew people his direction and in most cases paid dividends that Stalin gladly cashed. His was a lure that attracted a wide variety of people, including women – but especially people who were on ruinous paths, similar to his own. Stalin’s leadership ability was seen in his ability to motivate people to action. Clearly, he stirred people up – even as a young man. Later in life, he would stir the masses. One friend reports, “Soso was a philosophical conspirator from the start …” The author adds, “The secret police and the workers regarded this ex-seminarist as an ‘intellectual …'” Stalin used his leadership ability to his own ends and was proud of his manipulative ways. Stalin intellectually ability was remarkable to be sure. While he was ultimately expelled from Seminary, his keen mind gave him the wherewithal to synthesize concepts, understand difficult subject matter, and write compelling poetry. Stalin had an uncanny ability to read people. One friend admits, “He could look at someone and see right through them.” The author refers to numerous instances where Stalin recognized a traitor – and in most cases, anyone who betrayed Stalin paid with his or her life. It should come as no surprise that Stalin’s ego was usually out of control and reckless. The author notes, “Stalin’s character, damaged yet gifted, was qualified for, and fatally attracted to, such pitiless predations. Afterwards, the machine of repression, the flint-hearted, paranoid psychology of perpetual conspiracy and the taste for extreme bloody solutions to all challenges, were not just ascendant but glamorized, institutionalized and raised to an amoral Bolshevik faith with messianic fervor.” Any man who has at least 60 nicknames or aliases must be committed to narcissism at some level. The Scripture speaks clearly to anyone who is committed to selfishness and pride: “God opposes the proud, but gives grace to the humble” (James 4:6, ESV). Even as a young man, Stalin showed signs of unmitigated evil and a heart that was hell-bent on depravity. The author admits this throughout: Stalin was a “creature of covert but boundless extremism … and malevolent darkness …” Before the Great Terror ever fell on Eastern Europe, the heart of Stalin proved to be a bubbling cauldron of depravity and wickedness. The author reports, “This most un-Christian of gentlemen had moved far from Christianity.” The robberies, extortions, and violence are just the tip of the iceberg for this Georgian rebel. For instance, Stalin commented, “My greatest pleasure is to choose one’s victim, prepare one’s plans minutely, slake an implacable vengeance, and then go to bed. There’s nothing sweeter in the world.” With a heart that was black with sin, the man of Steele would help usher in a period of unmistakable evil in a few short years. Young Stalin is a carefully researched book; it is filled with details about the megalomaniac we know as Joseph Stalin. It is a vivid reminder that leadership ability and intellect can be used for good or evil. Stalin, like Lenin used his magnetism for malevolent purposes. He used his sharp intellect as a tool to manipulate the masses. Even the young Stalin had blood on his hands – both figuratively and literally. But as history would reveal, the bloodshed would reach epic proportions. For soon the Red Tsar would dominate Eastern Europe with an iron fist and a cold-stone heart. One man was about to shred the fabric of a nation and wreak havoc on millions of innocent people. One is reminded that ideas have consequences. In the case of Stalin, who left his mark on history as a murderous tyrant, his ideas led to the slaughter of millions, economic disaster, political tyranny – all the result of a worldview that banked on dialectical materialism – rooted in dogmatic commitment to atheism. Charles Darwin and Karl Marx continue to spew forth their godlessness from the grave.